It’s that time of year, where a frantic scramble to get things done is not only predicted, it’s somewhat expected. In my life, we have not only the holidays, but also both of my children’s birthdays flanking Christmas, and my visions of my own personal deadlines so I can look over my year of work and be pleased with myself. I frequently make myself sick this time of year. Three days before Christmas, and I still must venture out for a few small presents for dear friends, but this writing business stops for no one. The year has been a modest one in terms of word count. I started, and then stopped around 50k, a tightly-wound story about a family in the throes of crisis, having written myself into a corner. I hope to go back and figure out how to unravel this, because I think, at the heart of it, the story is a sound one, and interesting. 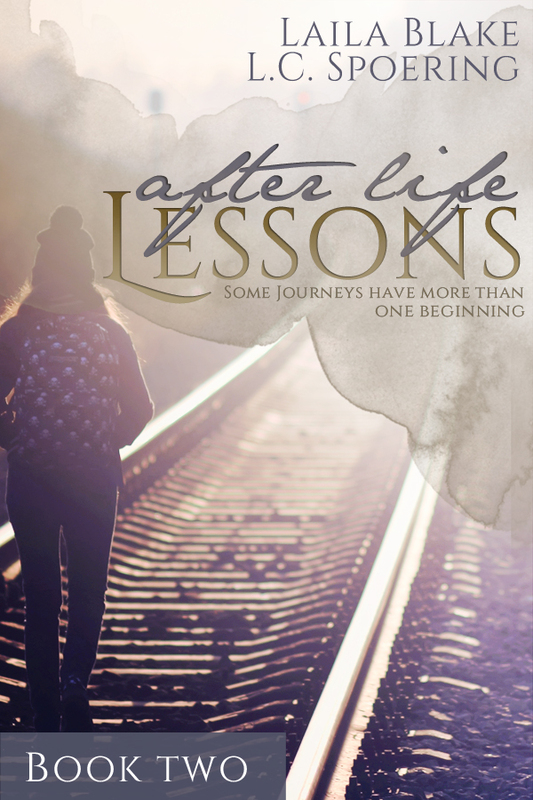 With Laila Blake, I completed a collection of short stories centered around our characters from After Life Lessons (you can find it here), as well as the first draft for the second, and final, book featuring those characters and their post-apocalyptic world. I completed the first in a trilogy about a dystopian world with a mysterious narrator, and rewrote 3/4 of a novel I originally completed last December, giving this year a sort of fun, cyclical sort of ending. Several pieces of erotica were also accepted this year, and a few have come out in print already, with more planned in anthologies next year. This year, on a lot of fronts, was more dedicated to the publishing side of writing, which is a much newer experience for yours truly. Editing is one of my favorite activities, and one of my greater skills, and I found myself doing a lot more of that this year, with several rewrites and edits on After Life Lessons before it went to print in April, as well as several edits on At the Edge of the World, which came out in August. I also have picked over and helped groom Laila’s first two installments of the Lakeside Series, and the last in her Breaking in Waves trilogy. From there, I am still a little floundering, still learning to swim, in a way. Lilt Literary is slowly gaining steam, and with it, we are working on aspects of publishing that are mostly new and foreign to us. I used to work in marketing, in advertising, but on the production end: I wrote and composed ads, I did not sell them. I am innately shy, a little terrified of talking to just about anyone– I had a friend once comment that I never looked in anyone’s eyes, something I’d never really noticed, but find myself doing kind of constantly unless I know a person well. Marketing yourself is hard. It is even harder when you, as a person, don’t do well talking yourself up, not to mention live in a society where women are, for the most part, conditioned to shy away from self-congratulation, from believing they’re worth listening to, or caring about. Selling a book is a little like selling yourself– I’m not one to compare a book to a baby, but, certainly, it represents a large amount of time, and effort, and skills, and, so, it’s a product of you, of your abilities. Telling someone how great it is, and that they should care about it, read it, is like telling them why they should be your friend. It’s uncomfortable at best, horrifying at the worst. Independant and self-publishing means you’re doing a majority of the work of a book on your own. You write it, you proof it, you edit and re-edit, you design and format and convert files, get it to distributors, advertise. At Lilt Literary, we’re lucky to both be trained as editors, and proof-readers, and pride ourselves on tightly-written and edited work. Laila is a wizard with graphic design, and has produced jaw-dropping covers for all of our books. We’ve become well-versed with computer formatting for different output (both physical and digital), and in many avenues of distribution. My confidence wavers at advertising. As a small-time publishing house, we are shut out of many traditional channels: obviously we’re not going to be able to put an ad in a widely-read magazine, or get ourselves on a talk show. Our budget is smaller than a traditional publishing house, and so getting our books on the shelves of local and national bookstores isn’t within our ability at this moment. There is a stigma attached to independent and self-publishing, too, one that is, and isn’t, accurate. With the ease of Amazon uploading, for instance, a person can take a poorly-written fanfic and have it for sale in 5 minutes flat. What is a beautiful invention– the ability to reach masses with a click of a mouse– can be burdened by lack of quality control. While this is a topic for another time (and I do love talking about it), the point is more: it’s hard to get noticed, harder to get people to read, and believe, in your ability when you are not coming out of a big-name publisher. It’s definitely been a learning process, but one that is slowly becoming easier, clearer, and showing results. Over the last year alone I, and we, have learned so much about getting our books to readers, and making a successful profit, that I’m actually excited about doing more in the new year, where, even a few months ago, I even loathed writing an email to a potential reviewer. It turns out writing is an ever-evolving practice. Who knew? Here’s wishing you the happiest of holidays, and bountiful new year. This entry was posted in career, confidence, editing, L.C. Spoering, Laila Blake, life, Lilt, Personal, Writing on 22 December, 2014 by L.C. Spoering. This afternoon, I drove past the house I spent my first ten years living in. It’s not far from where we’ve moved, and since my job moved downtown, I can pass the end of the block on my commute. When I spied a dumpster out front, I had to do a swing by. I’m not sure what’s being renovated, as I decided pulling a super creeper and stopping dead in the center of the street to analyze the contents of the dumpster was not how I wanted to spend my lunch hour. Suffice to say, the bin was full of wood, and so my mind has gone wild. Is it the all-wood staircase with the carved banister? The hand-scraped hardwood floors from the basement? Could it be the floor-to-ceiling bookshelves of the study? Those stairs are where I slipped and fell, biting through my lip, when I was four. I’d seen a Shirley Temple movie that morning and decided to try tapping my way up to my bedroom… in socks. The basement is where I had my playroom, with the weird tree silhouette wallpaper, pot-belly stove, and stained-glass window. It was the scene of many My Little Pony debaucheries. Those bookshelves are where my tree frogs lived, left over from a science presentation on the life cycle of frogs. I had three of them: Croaker, Croaker Junior, and The One Who Died Before I Could Name Him. Don’t these people understand this is MY house? It’s been noted that I have a certain romantic attachment to the house I grew up in. We moved when I was ten, just to the other side of town, but I remained attached to the first house in a way that bordered on fanatical for a number of years. My life’s ambition, besides being a writer (and actress, and singer, and doctor, and artist, and journalist and and and), was to move back into my childhood home at the soonest possible moment. The house changed hands twice since my parents sold it in 1989, and the neighborhood became rather coveted. Still, I insisted I would live there again some day. Not everyone has the same attachment to a house they spent only the barest amount of cognizant time living in. I grew up with kids from military families, who lived in ten houses before they hit fifth grade. I held a deep resentment against my parents for years because they made me leave that beautiful house. It was an angst that was hard to explain. The house, as it was, was lovely, but hardly any more remarkable than any other house. The kitchen was renovated in the height of the eighties, and so bore orange countertops and brown tiles. There were only two bathrooms, one upstairs where the bedrooms were, and one downstairs, off the kitchen. My closet was the size of a shoebox. The house is absolutely not my style, either. Built in the early 1900’s, it is somewhat Victorian, crossed with Craftsman, with lots of wood and leaded glass windows. My husband and I bought a house built in the 50s, and our style leans towards Mid-Century, and contemporary. My credenza would stick out like a sore thumb in my childhood home. I don’t know why, exactly, I love the house so much and cringe at the thought of it being gutted. I spent far more time, and had many more formative experiences, in the house my parents bought after it – I lived there from the age of ten until I was twenty, I spend hours there every week, I’ve been taking my children there weekly for the past ten years. 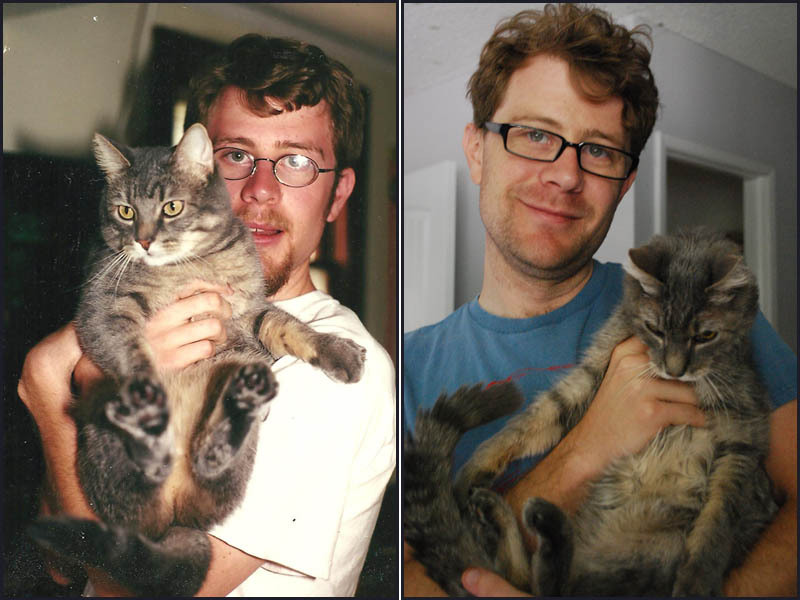 I’ve known that home for nearly three-quarters of my life (I did the math!). Wouldn’t it make much more sense to be abnormally attached to it? Memory is a funny thing, I’ve found. I can remember the feel of those wood steps under my feet as surely as I can the carpet that is currently under them, thirty years later. I’ve made a map of the house in my head, complete with furnishings, that hasn’t changed in decades. It’s perpetually 1988 in that old house. At this point, if given the chance, would I even want the house again? I know it’s been remodeled – real estate photos from the last time it was sold show that – and the foyer that used to house our antique coat rack has been closed off and given a closet. The potbellied stoves that I so loved as a child were replaced with gas fireplaces. The vast garden plot my father fervently protected from squirrels was torn out to build a garage in the parking-competitive neighborhood. And now, of course, whatever they’re ripping out and dumping, unceremoniously, into the bin at the curb. I suppose I’ll keep inhabiting the house that’s in my head, complete with the impressions of a very young child, keeping the height of light fixtures well above my head and the backyard endless up like a field. The memories are mine, and those can’t be renovated out my head. I suppose, first, though, I really need to stop driving by and gawking. Baby steps. This entry was posted in blogging, essay, i have issues, in other news, life, memory, non-fiction, Personal, rambling on 22 May, 2014 by L.C. Spoering.